BUFFALO, N.Y. -- U.S. Attorney James P. Kennedy, Jr. announced today that Michael Pacheco, aka Michael Dominguez, 27, of Dunkirk, NY, who was convicted of conspiracy to possess with intent to distribute, and distribution of, 500 grams or more cocaine, was sentenced to serve 18 months in prison by Chief U.S. District Judge Frank P. Geraci, Jr.
Assistant U.S. Attorney Meghan A. Tokash, who handled the case, stated that between July 2016 and May 2, 2017, the defendant conspired with co-defendant Fred Santiago to distribute kilogram quantities of cocaine in and around the Western District of New York. Pacheco obtained cocaine from Santiago for sale and distribution to others. During the time of the conspiracy, the defendant made at least two undercover drug sales to law enforcement officers on April 19, 2017, and April 26, 2017. On May 2, 2017, Pacheco was arrested and found with cocaine on his person, which was intended for sale. 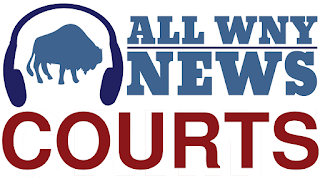 The sentencing is the culmination of an investigation by the Southern Tier Regional Drug Task Force, under the direction of Cattaraugus County Sheriff Timothy Whitcomb; the Drug Enforcement Administration, under the direction of Special Agent-in-Charge James J. Hunt, New York Field Division; the Evans Police Department, under the direction of Chief Douglas Czora; the Dunkirk Police Department, under the direction of Chief David Ortolano; and the Chautauqua County Drug Task Force, under the direction of Sheriff Joseph Gerace.